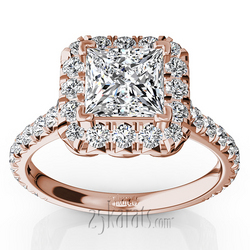 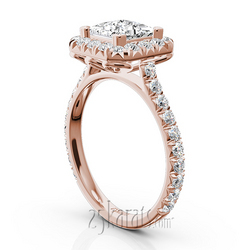 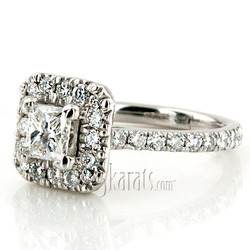 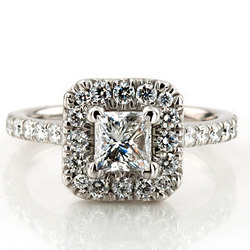 This graceful princess halo engagement ring is micro-pave set with 7/8 ct. t.w. dazzling round side diamonds. 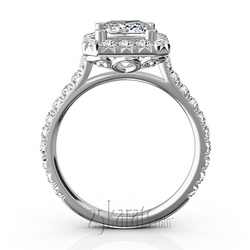 Beautiful scroll wire work adds impressive finishing to this piece. This ring is available in 14k, 18k gold, platinum and palladium.